We are all indigenous to the human family but we have forgotten it. 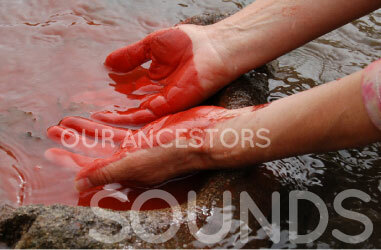 For centuries, the voices of oral cultures have been ignored while our world continues on a path of self-destruction. To change course we need to recover the full potential of our humanness and hear those who have kept alive the memory of our ancestral connections. Many authors, including Walter Ong and others, have theorized on the superiority of the written over the oral. While true regarding information that can be written or calculated, this approach disregards invisible or non-quantifiable data that lies outside those parameters, which now science regards as 99% of the universe. Long before the invention of writing, modern man relied on purely oral information passed on from generation-to-generation through oral traditions and rituals. Local languages and traditions served as the repository of collective wisdom and rituals gave the community access to the non-calculable information. In oral cultures, information developed and maintained by these practices includes levels of nuance and complexity relating to the interconnectedness of the indigenous with their environment, both immediate and cosmic, as well as more concrete information that might qualify as viable for written history or science. The oral contains the memory of potential and, therefore, is an infinitely wider and more complex repository than the written. Oral cultures have survived by honoring the reciprocal exchange that fuels the creative process of the cosmos, which is equivalent to what we know call the quantum entanglement. The awareness or our participation in the exchange is beneficial to the life-force and sustains the cultural and biological diversity upon which life depends, and makes us responsible for the quality of our interaction. We believe that peoples who have maintained a cultural continuum, such as the San of South Africa going back 120,000 years or the Aboriginals of Australia with 50,000 years of history, hold a knowledge that may be critical for the survival of our future humanity in this planet. Oysi's structure is inspired by the understanding of the reciprocal exchange, as seen by indigenous cultures. We have modeled Oysi as a self-organizing network. It is a knowledge-based system that learns from itself. Our intent is to follow the fractal patterns of oral cultures that, in turn, reflect the quorum sensing capabilities of living cells. In this model, a positive feedback loop continually informs the whole creating new meaning. We think that only a change of worldview can reorient human culture toward sustainability. The question is: how can we learn from the democratic values of oral cultures, their wisdom and way of relating to each other and the world? This learning process has the potential to bring about a worldwide transformation of consciousness. Oysi, Inc. is a New York based non-profit 501 (c) (3) corporation dedicated to providing a forum for the exchange between artists, scientists and oral cultures around the world. Oysi, a neologism created by James O'Hern and Cecilia Vicuña, is a wordplay that can be read in different ways. In Spanish it could mean “Do you hear? Yes!” It could also mean “Today? Yes!”. Soundwise it recalls Oisín, the legendary poet of Ireland. In ancient Gaelic, it means “young deer”. The deer is regarded by many cultures of the world as the model of the highest human behaviour, because it gives its life for the well being of others.